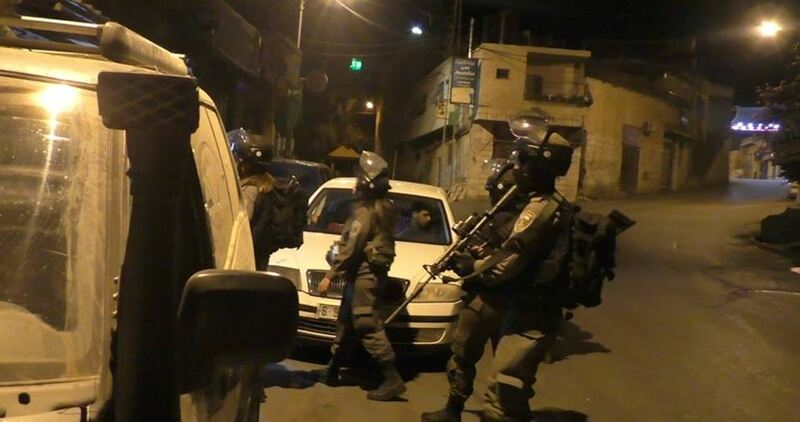 Israeli Occupation Forces (IOF) on Thursday night detained five Palestinian youths at Salem military camp during clashes that erupted in Zbouba town to the west of Jenin in the northern West Bank. A local source revealed that the detained men were identified as the three brothers, Emad, Ziyad and Iyyad Emarneh as well as Munir Jaradat and Urwah Jaradat. They were all held captive for a few hours after being assaulted at the hands of the Israeli soldiers. The detainees were transferred to Salem military camp where they had been subjected to interrogation before being released. The town witnessed clashes between Palestinian youths and IOF troops who fired tear gas canisters, stun grenades and live bullets at the protesters.